Even more vendor dependency on the channel expected. 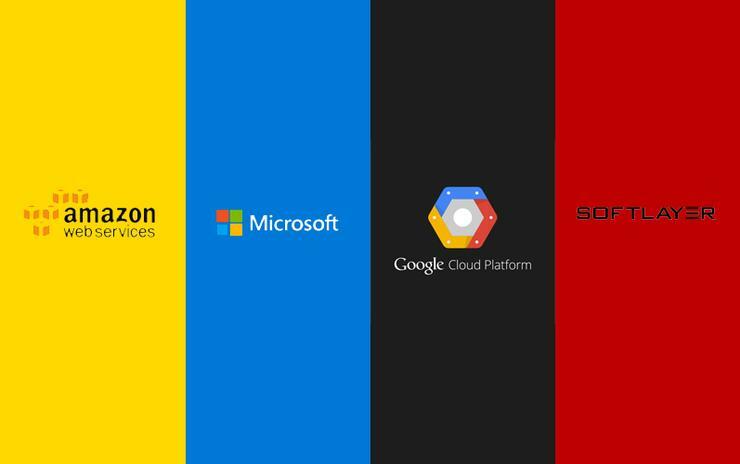 Tech giants Amazon Web Services (AWS), Microsoft, Google and IBM are increasing dependency levels on the channel, as a result of growth in the worldwide infrastructure market. According to Canalys research, the worldwide cloud infrastructure services market continued growing in the first quarter of 2017, up 42 per cent year-on-year to reach US$11.4 billion, triggering a channel expansion by tech giants looking to expand industry reach. Specifically, Canalys senior analyst Jordan De Leon said cloud players are targeting the channel to increase play, especially in the mid-market segment. “The channel has become integral to winning in the enterprise, with top cloud players focusing on channel expansion plans,” he said. The market analyst firm also determined the ranking of the major cloud players in the global market, with AWS coming up tops, continuing to hold a stable global market share of 31 per cent. Unsurprisingly, AWS was followed closely by its strongest hyper-scale rivals - Microsoft, Google and the IBM. De Leon said AWS ranked highly for its growing “established channel program” which AWS said is helping to win “key global clients”. Most recently, in Australia, AWS partner, XVT Solutions, scored a $5.6 million deal with the New South Wales Government; and partnered with Salesforce for the latter to continue its international infrastructure expansion on AWS Cloud. AWS also recently revealed that professional certification, solution and industry competencies, and hybrid IT are among the areas in which it plans to pump its partner investment dollars in the local market during 2017. De Leon also mentioned that Microsoft’s growth in the first quarter of 2017 demonstrates the benefit of having a huge enterprise client base and converting it to Azure. Coming in third-place, Google recently revamped its partner program in order to catch up. “It [Google] has made progress toward meeting the technology and feature requirements of large enterprise customers, De Leon commented. "But to rival the others, it needs to demonstrate its enterprise readiness and enhance its credibility. "To achieve this, it needs to sustain investment in both technology and go-to-market, and continue to highlight key customer wins,” he said. 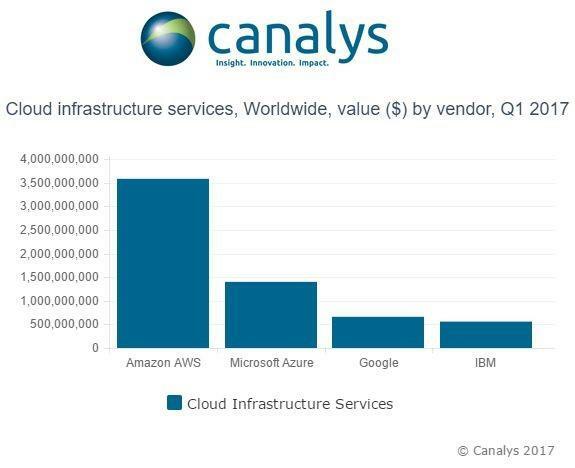 According to Canalys, Microsoft grew 93 per cent and Google was up 74 per cent compared to the same quarter a year ago, and that these growth rates were faster than those of AWS and IBM, which grew 43 per cent and 38 per cent respectively. In addition, De Leon also set out some strategies that could aid vendors playing in this segment. “Go-to-market strategy, including both customer and channel partner engagement, will ultimately determine vendor success in this segment," he said. "Larger enterprises will adopt a multi-cloud strategy to distribute risk. Ultimately, to challenge AWS, vendors will need deep financial resources to continue to participate and advance." However, a recent ARN report identified that AWS, Microsoft and Google are all taking different paths to the cloud. Because where AWS is capturing the lion's share of enterprise deals, Microsoft is partnering with companies on strategic cloud deals. Meanwhile, Google’s cloud business lags behind AWS and Microsoft, but many industry observers believe the search company owns the best technology to win more market share in a young but growing sector.